In Selkirk, Al Hares is âMr. Hockeyâ. It is estimated that in over 50 years involved with hockey, 33 as a coach, Al Hares has spent 10,000 hours behind the bench or in his office pursuing, studying and re-thinking the game he loves. Al led the Selkirk Steelers Junior A Club to three MJHL Turnbull Cups and one MB/SK Anavet Cup. 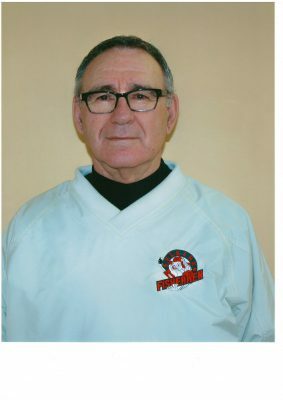 In 1980 he was the Manitoba Junior Hockey League all-star team coach. Al helped get Junior B hockey off the ground in Manitoba. For 24 of his 33 years coaching he has helped guide the Selkirk Junior B Fishermen to seven league championships including six Western Canada Championship Keystone Cup appearances. A proud moment was in the 1993 season, when all 3 of Al's sons played with the Fishermen. He was Hockey Manitoba's 2014 Volunteer of the year.